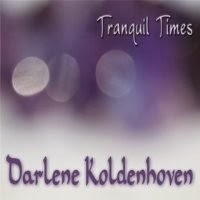 Darlene Koldenhoven is a Grammy Award winning artist with three Grammy nominations. Her work has reached the top of the charts worldwide and the song “Lucid See” on her newest album Tranquil Times has been nominated for Best New Age Song in the Independent Music Awards. 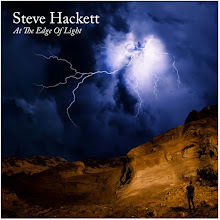 This new album is purely instrumental with original compositions and arrangements. “Lucid See” is the opening track on the album. A piano piece with some atmospheric background sounds at the onset, it marries with light percussion and a steady rhythm to keep the listener diving deeper into placid waters. This track will seduce the soul, bringing a much needed element of peace. It is easy to see why this is an award winning piece. “Eternal Love” is an awakening. A warm touch of morning sun on the brow, this piece trickles over the listener in soothing waves. Multi-instrumentation blends string, percussion and thoughtful piano compositions, unleashing a bouquet of audible blooms to bolster the spirit. This piece is one of my favorites on the album. It is full of hope, fairy lights and infinite possibility. If you close your eyes, you can envisage a love so infinite it transforms all it touches, much like this music. “Surrender” winds its way around, leading the listener into the forests of the night. Sweet and succulent as a night blooming jasmine, the flute playing is full of harmony and as the title to the album suggests, tranquil. Beautiful and full of mystery, this piece is indeed a surrender. The music takes you by the hand, leading you into the paths less trodden, marking passage by wisps of sweet harmony and elegant composition. Darlene Koldenhoven is an award winning vocalist, composer, lyricist, keyboardist, producer, actor, author, speaker and pianist. Her work can be found in hundreds of movies, commercials, recordings and television shows. Tranquil Times is her newest accomplishment and the purely instrumental elements of the album are refreshing, especially after a particularly stressful holiday season. Playing the album for a week practically non-stop, I find myself at loath to move on to the next project, having grown attached to this lovely body of work. For any writer out there, this album is wonderful to write to, the flowing sounds crafting a marvelous backdrop in which to create. With original works and arrangements, this album is auditory nirvana. I highly recommend it.